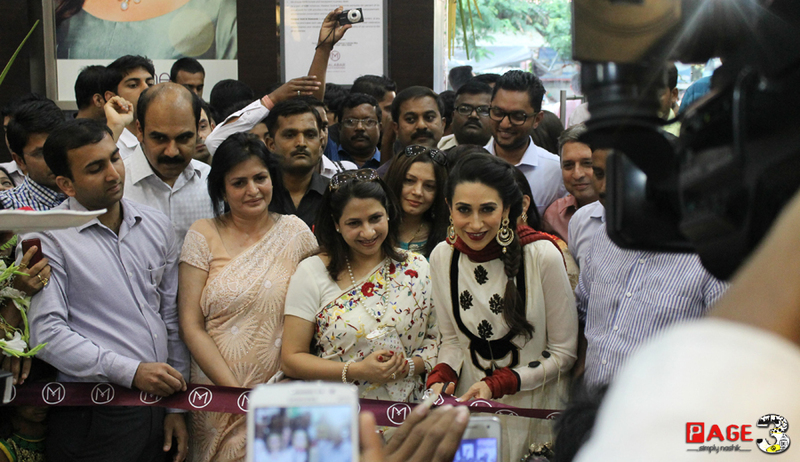 Malabar Gold & Diamonds, the leading jewellery retailer unveiled its brand new showroom in Nashik, to strengthen its presence in Maharashtra, yesterday. 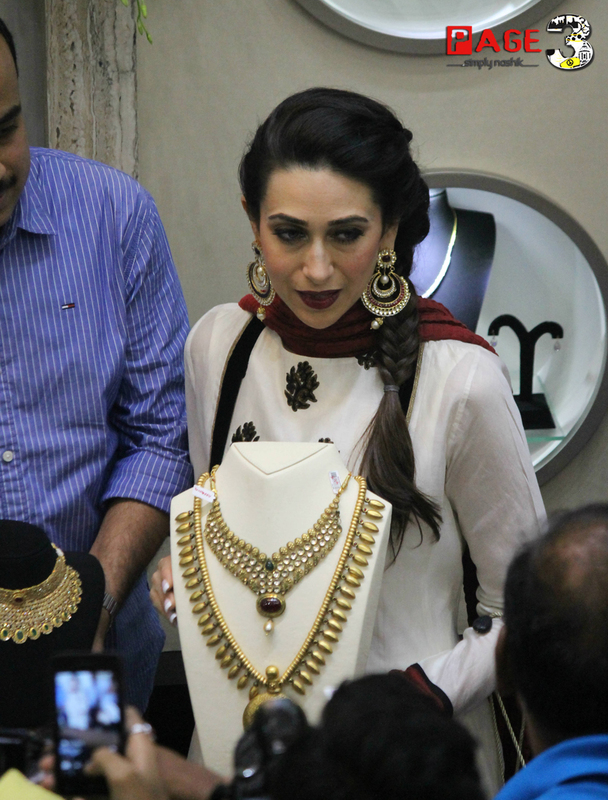 The world class showroom located in shops 3 and 4 of Viraj complex in Canada Corner area of the city was inaugurated by Bollywood actress Karisma Kapoor, in the presence of M P Ahammed, the chairman of Malabar Group; Group Executive Director Asher O, other Heads, and well wishers. The store showcases the exclusive range of Malabar Gold & Diamonds sub brands : Mine – Diamond jewellery, Era – Uncut Diamond Jewellery, Precia – Precious Gem Jewellery, Divine – Indian Heritage Jewellery, Ethnix – Handcrafted designer Jewellery and Starlet – Kids’ Jewellery. The showroom also has an impressive stock of platinum jewellery apart from gold and diamonds. Malabar Gold & Diamonds conducts in depth analysis of the jewellery tradition of a particular region before setting up business. Wedding rituals, festivals, ornamental preferences, are all looked into and we ensure that the jewellery is not only innovate and trendy, but also region specific and occasion specific, to cater to the ethnic taste and social preferences endemic to the region. This showroom will provide inaugural offers including 25 percent off on making charges of gold jewellery and 50 percent off on making charges of diamond. This is the 115th store of Malabar Gold & Diamond in the country.Malabar Gold & Diamonds sells only BIS Hallmarked 916 Gold, IGI Certified Diamond jewellery, and PGI certified Platinum jewellery. All products come with a detailed and transparent price tag with details like gross weight, stone weight, making charge, stone charge and net weight. Malabar Gold & Diamonds’ value-added services include lifelong free maintenance, one-year free insurance coverage and buy-back guarantee for all its ornaments. The brand has announced special inaugural offers with 25% off on making charges for gold jewellery and 50% off on making charges for diamond jewellery.